Excellent Dentist office that owns and operates multiple locations in the Northeast. We are currently looking for a General Dentist to join our team! Our Dentists have a great quality of life and are truly respected for the work they do. Our offices specialize in Dentures, Root Canals, Extractions, and Implants. We are looking for dentists who are looking to grow their careers and want to work in a state of the art facility. Our company offers stability and growth. I enjoy learning every day about people and what it takes to make both sides of the recruiting equation work. Heidi Macomber joined Goodwin Recruiting as an independent business partner in February 2019. She previously owned a small boutique healthcare staffing and recruiting agency. Heidi grew up in Upstate New York, in the Finger Lakes region, and now travels the country with her husband. They are full-time, working RV-ers, and Heidi cannot think of anything better than the freedom to discover new places, meet new people, and make new memories. Heidi earned an MBA in Human Resource Management from Excelsior College and a BS degree in Business, Management, and Economics with a concentration in Information Systems from SUNY Empire State College. She is SHRM-CP certified and was part of the inaugural recruiting certification class of Recruiter.com. Heidi is continuously seeking out new information, new ideas, and better understanding on any HR topics, privacy and security as it relates to the medical community and PHI, systems learning with statistical programming, and AI in the field of staffing and recruitment. Heidi has a long background in the dialysis field and has had the opportunity to work with DaVita in NY, HI, AZ, CA, and WA state. She has helped open denovo dialysis clinics (including one in Lahaina, HI), worked with the Southwest Kidney Institute in AZ, assisted with the transition of acquired clinics, helped setup and train new Crown Web users, and worked in the Corporate Credit Department (Revenue Cycle Management) in WA State. She has worked in Assisted Living and has a background in Chronic Care Medicaid (she co-authored a book on the topic that was published in 2000). She previously worked for Bersin by Deloitte, a worldwide Human Resource Research and Consulting company. 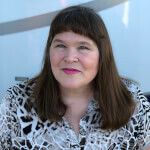 Heidi's free time is spent renovating a 28' RV with her husband while also exploring and learning about Southern California.